Check MRS endpoint user and password. Backpressure, check for free space on the disks. –Non-Office 365 user use this https://sender.office.com (self-service delisting portal) to remove themselves from the blocked senders list. –Office 365 user, as an admin you can unblock your blocked Office 365 email account via using Exchange admin center. • Go to the EAC, navigate to protection > action center. • Select the Search icon and enter the SMTP address of the blocked user. • Click Unblock Account in the description pane. • Click Yes to confirm the change. Solved after run the command Set-receiveconnector “Server Name\Client Connector” -Messageratelimit 100. 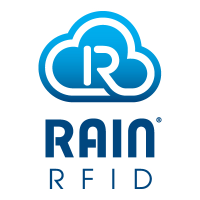 The word RAIN—an acronym derived from RAdio frequency IdentificatioN—is intended as a nod to the link between UHF RFID and the cloud, where RFID-based data can be stored, managed and shared via the Internet. With a six-member board consisting of an AIM liaison, four elected directors and a president, the alliance was conceived following standards organization GS1‘s ratification of the UHF Gen2v2 standard in November 2013 (see GS1 Ratifies EPC Gen2v2, Adds Security Features, More Memory). That ratification, says Chris Diorio, RAIN’s chairman of the board and Impinj’s chief strategy and technology officer, signifies further maturity in the UHF market, at the same time that item-level UHF RFID tagging for the retail sector has grown exponentially.